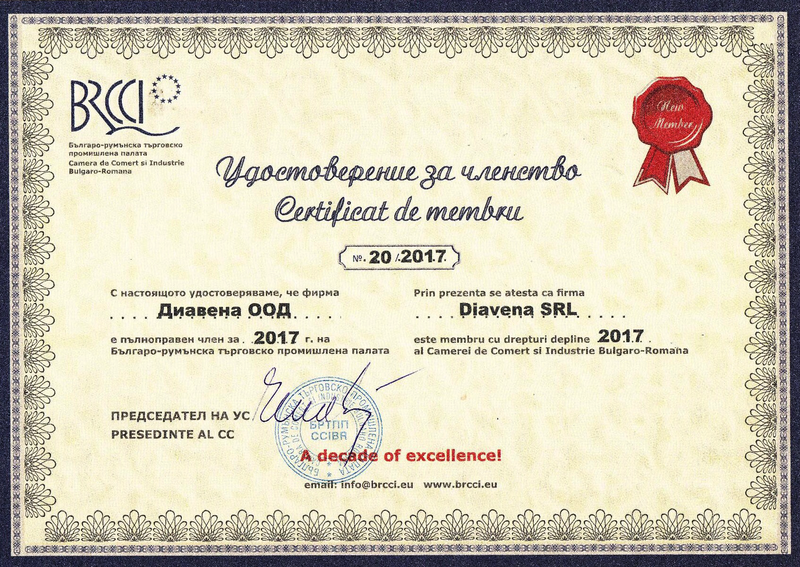 DIAVENA Ltd. became a member of the Bulgarian-Romanian Chamber of Commerce and Industry. As a full member of the Bulgarian-Romanian Chamber of Commerce and Industry, DIAVENA Ltd. took a part in the workshop-discussion about Bulgarian companies from the food industry on 30.05.2017. The topic of the meeting was "Possibilities for selling Bulgarian food through the retail chains in Romania".